Effortlessly prepare wine bottles for serving with help from this handsome Vinara foil cutter. An invaluable addition to any in-home bar, the handheld unit features a patented four-wheel system with razor-sharp cutters that quickly and easily strip the foil crown from any wine bottle. 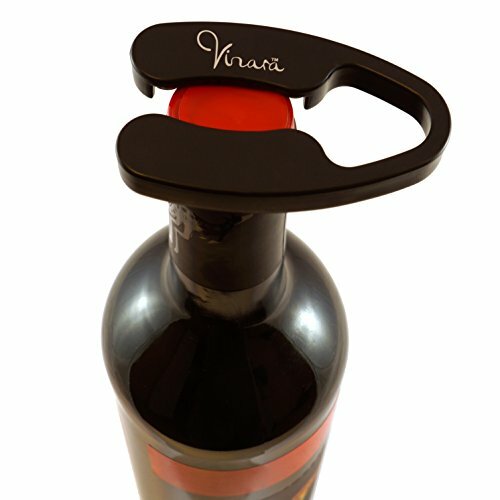 The one-step Vinara foil cutter--which requires no more than a quarter turn of the wrist--releases foil cleanly, without loose strands or bits that could fall inside the bottle and contaminate wine after opening. Ergonomically designed for comfort, the foil cutter's smart use of leverage makes it simple to open bottle after bottle while hosting large or small gatherings. With its classic frosted-black finish that merges beautifully with other Screwpull bar tools and implements, the foil cutter measures approximately 4 by 2-8/9 by 1-4/5 inches and carries a five-year limited warranty.